Have you ever wondered how some Instagram users receive so many likes, comments, and shares when they are on vacation? It’s actually easier than most think, even though it does require a bit of research before, during, and after a trip! I’ve put together a handy guide on how to get your vacation content engagement as high as your anticipation! There are a few key items to research on Instagram before leaving for a big trip. Completing these steps will save you time once you’re out and about enjoying your home away from home. Most users are influenced by or view Instagram content before booking a vacation, so many have an idea of the places and sights they want to visit before they take flight. When completing research for your content, it’s important to make note of popular hashtags for the specific landmark, city, state or country you’re visiting. However, there are ways to make sure your content stands out from the rest. When traveling to Paris, most Instagram users will simply use generic hashtags for the above-mentioned categories such as #eiffeltower, #Paris and #France, when they should actually look at other hashtags such as #visitfrance, #mylittleparis and #seemyparis. Ironically, the latter hashtags can be found right alongside the saturated ones. The easiest way to find the best hashtags for a location is to search for the generic ones and look at the nine most popular photos or videos. Once you click on those nine photos, dig through the hashtags that are being used to discover other related hashtags. Take a moment to click on these “second round” hashtags to see the amount and frequency of uses as well as what types of photos are most popular under that tag. If you find photos that match your style and have between 10,000 and 500,000 uses (aka the sweet spot), you may have found a winner. Continue this loop until you’ve found 30-60 quality hashtags. While researching, jot your hashtags down in your favorite notes app (I’m a huge fan of Evernote because you can access your notes anywhere) and add any necessary comments regarding the hashtag. Another important activity to complete before your trip is location research. You may notice that some users tag the city they are in on Instagram while others choose an airport, region, landmark or get very specific by tagging a hotel or restaurant. It’s important to select locations with regular traffic so others have a higher chance of coming across your content and engaging with it. For example, if you’re in Houston at one of the city's beautiful murals in Montrose, or in NYC at Louis Vuitton VVC, you would be better off tagging those exact locations instead of the city since those cities are so large. On the other hand, if you’re staying at a regular Holiday Inn or Hampton Inn in a big city versus a Ritz Carlton or Hotel ZaZa (no shade! ), you would probably be better off tagging the city instead of the actual location. In addition, having a list of the locations you want to tag is important so you can rotate them around during your trip. Finally, think of some catchy captions that go along with your travel plans. If you’re traveling to Toronto, there may be a quote you’re fond of or a Drake & PARTYNEXTDOOR lyric that would impress your followers. Write these captions down in your note as well. Another important activity to complete before your trip is finding bright and picturesque spots. Instagram users love color, so finding that one street with beautiful painted homes, unique signs and structures or eye catching murals will more than likely attract uses over a photo of you and your girlfriends at a local club since it’s not unique. You really want Instagram users to “ooh and ahh” and feel motivated to leave a meaningful comment or even ask for exact directions to that location. 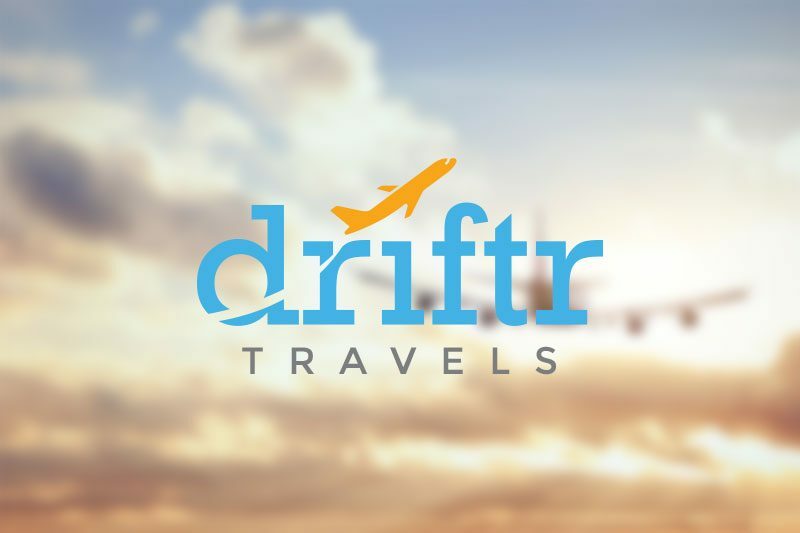 Seek out travel networks like Driftr Travels on GroupMe, Instagram, and Slack. These communities are often sharing flash flight deals, excellent tips, and sharing their travel photos in order to get likes and comments. Take a moment to find and note the travel accounts that are most likely to repost your photo. It’s usually easy to find these communities as there are many based on race/ethnicity, outdoor/adventure activities, group travel, dog lovers and more. For example, Black travelers on Instagram typically tag @TravelNoire or @BlackAndAbroad when on vacation. These accounts are popular, but require very high photo quality and maybe even a swag purchase in order to have a feature on their account. If you don’t have the resources to match their requirements, consider smaller, yet mighty, accounts such as @HardlyHome, @JetsettingChicks or @SoulSociety. Be sure to complete research depending on the type of trip you’re taking and consider writing down the accounts of the local travel agency such as @visitvirginia or @vegas so you can tag them in your content. And while you’re at it, writing down the best hashtags used by those who were regrammed by these accounts is key. Some will more than likely overlap with the hashtags you’ve already found! Now that your trip is underway and you’re having a blast, it’s important to create and post content to attract your target audience. All of the research and work you’ve completed is pointless if your page is private. Without a public profile, no one except the people who follow you can see your content via the locations and hashtags. The accounts you choose to tag will not receive a notification that you’ve tagged them. Hopefully, you or your travel buddies have a professional camera or high-quality smartphone like the iPhone 8+ or iPhone X since very clear and striking content works the best on Instagram in 2018. Be sure to take your photos using the nicest camera you have on the trip and make note of locations, lighting and your background (photobombs!) before posting. Another tip is to switch up the style of your content depending on the atmosphere. For example, if your vacation is to Miami, posting back to back photos of you and your friends in a bikini may get old to some after a while. Once you get that good bathing suit shot and rack up your likes, save your other bathing suit shots for next week’s #TBT, #FlashbackFriday or get your significant other to make you his or her #MCM/#WCW in the next couple of weeks. Most people will want to see content from your out-and-about activities and then possibly a photo of you glammed up. Be sure you’re creative with your posts and that your content stands out. A photo of your passport and a cocktail on your tray table with the caption “Catching Flights, Not Feelings ✈️” isn’t popular with audiences anymore. You didn’t do all of the prep work for nothing! Once you have the photo you want to use, prepare it in Instagram with a catchy caption and an associated emoji or two. Make sure you have a list of 30 hashtags ready to post in the first comment of your post. If you’re outside of your home country, don’t forget to add a hashtag in front of the flag of the country (like #🇦🇷)you’re visiting as well! Once you post your photo, take a look at your hashtags and see if your photo made it to the popular section. If so, use that hashtag in your other photos and maybe replace some of the lower performing ones with hashtags from the second set of 30 you have written down. Be sure to tag the travel accounts you researched as if you’re tagging a person in the photo. Some people prefer to stack them all on top of each other so no one can see all of the tags, but it’s totally up to you. Avoid tagging them in the caption as users won’t be able to find your photo in that specific account’s tagged photos section. #ProTip: Do not post your hashtags in your caption! Placing them in the first comment makes your caption appear less cluttered! Instagram's algorithm shows content from those you regularly engage with and those who have a lot of activity on their posts. When users comment on your post, it signals to Instagram that your post is quality because it takes more effort to comment than to simply like. When you receive comments, it’s imperative you engage with them by replying or by liking the comment. Users will then get a notification that you’ve engaged with their comment and they may return to reply to you or to simply see if your likes or comments have increased. These actions will help move your photo to the top of feeds. #ProTip: When leaving comments on other’s pages, or when responding to comments, always write comments with four or more words. Instagram no longer counts emojis as a quality engagement. When posting photos on vacation, make sure you’re posting at the best time based on the time zone of your followers. There’s nothing worse than dropping a jaw-dropping photo when 95% of your followers are sleeping. Also consider only posting one photo each day in order to not annoy your followers and to maximize the likes on each particular photo as we all know Instagram's algorithm spreads our content out. Prime posting time varies from user to user, but I find success on Friday and Saturday nights when I’m glammed up before heading out as well as the first thing each morning. Think about it, what’s the first thing you do each day after you turn your alarm off and check your texts and emails? If you have an Instagram Business account, you’ll be able to determine the best times to post in your analytics. While traveling, use Instagram Stories to capture content that is fun, but may not necessarily be feed or profile worthy. My recommendation is to post Instagram Stories right before or after you drop a new photo as you’ll show up in the first five stories on your followers feeds. When you stay in that top five Instagram Stories position, your followers are more likely to go to your page to see if they have missed any of your content. Use location tags and local hashtags in your story in order for others in the vicinity to discover you and like your content. This way, your Instagram Stories content could possibly appear in the location page of that spot. Occasionally, I see influencers tease their new photo on Instagram Stories in order to drive traffic to their profile. Since Instagram was built on the basis of community, the platform values interactions with others. Be sure to like and genuinely comment on photos using the same set of travel hashtags, especially if you’re in the same location as the traveler at the moment. They’re more than likely trying to achieve the same engagement! It's smart to take a moment to engage with the travelers' followers too as they are clearly in your target audience. I still have people liking photos and asking questions from trips I took earlier this year and even further back based on the above methods. After a short while, your engagements will naturally drop off, but you can keep them going as long as you keep pushing your content! Right after your trip is over, continue to engage with travelers using your set of hashtags. Take a moment to see if any travelers are asking questions or are looking for tips that you can assist with! If you're a blogger, consider writing a recap of your trip and include your photos in the post for maximum exposure! What do you think? What did I miss? Add your top tips for Instagram engagement below in the comments!